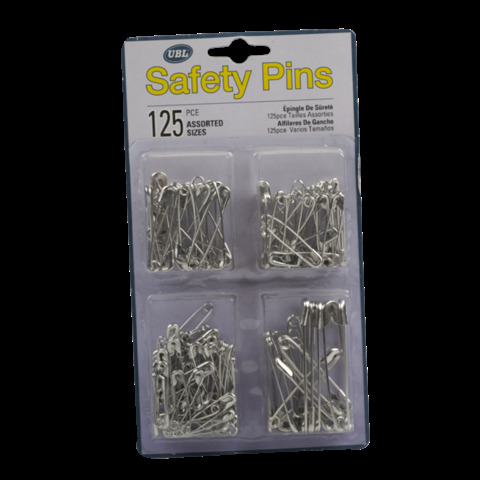 Safety Pins 125Pc Set. 5.5cm l 3.7cm l 3.2cm l 2.8cm. Silver. Plated Metal. 68G Packaging: Blister Card.